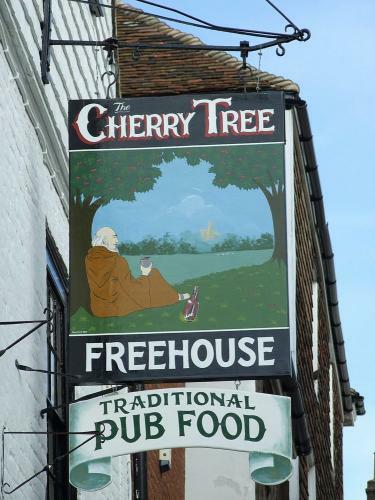 A couple of years ago I set myself the task of photographing the exteriors and signs of all pubs in the city of Canterbury. 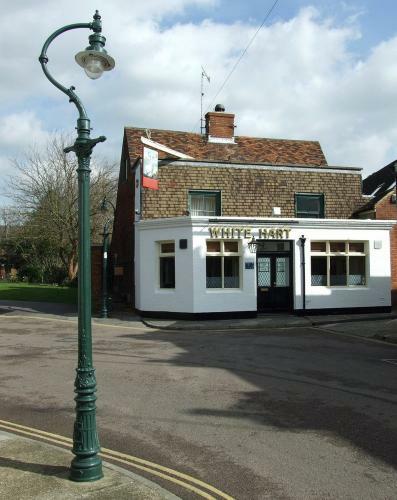 A search on the local council licensing page showed 47 establishments that could be described as a pub (A Public House that serves alcoholic drinks). There used to be many more but most of those have converted back to private residences or restaurants.. 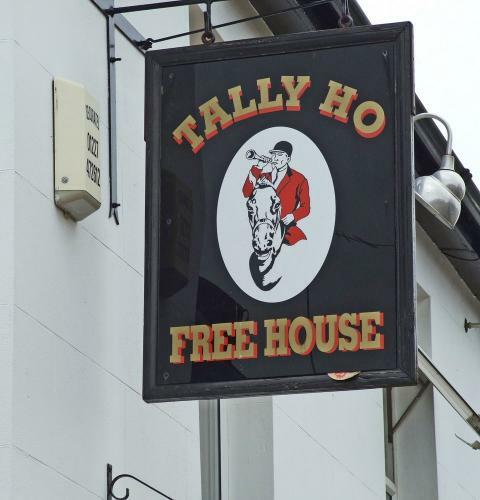 There are hundreds of other 'licensed' premises but I was just interested in pubs and their signs. 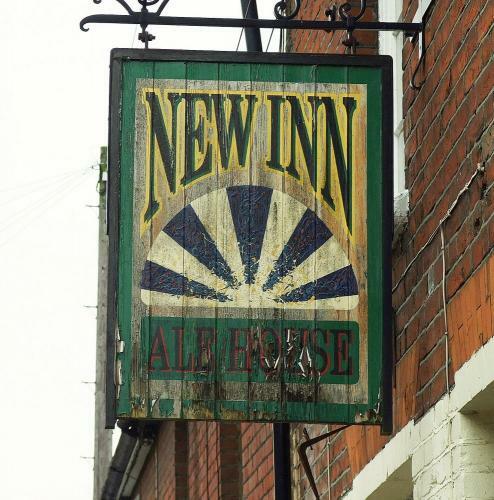 There are more than the 47 that I noted above but most are New Style pubs with contemporary interiors and plain boring signs with equally boring names. 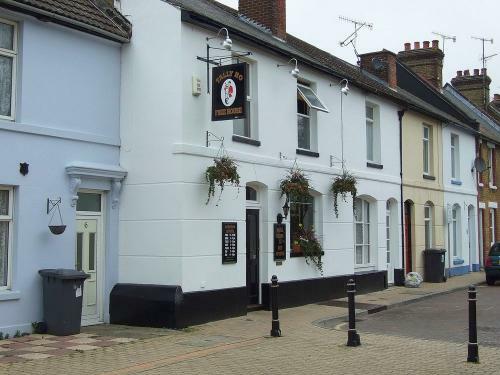 A case in point is a pub right opposite the military barracks. 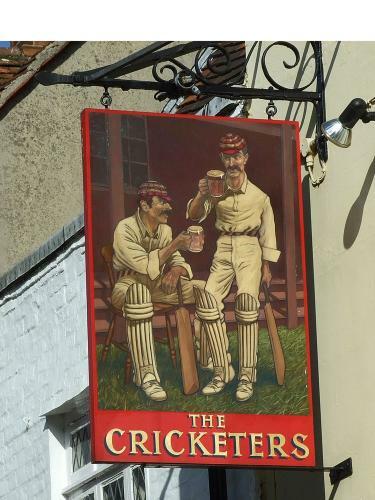 It was a traditional pub called The Grenadier with a splendid painted sign of a grenadier soldier in full uniform. It is now called Run of the Mill with a plain grey board for a sign with just the name printed on it. 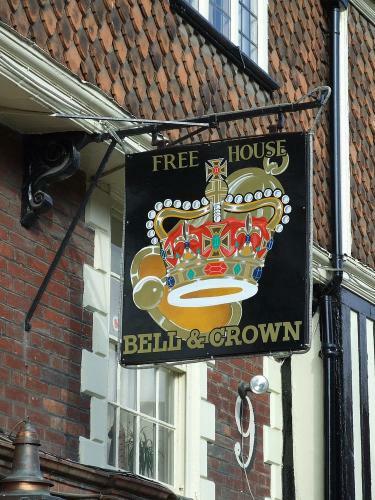 I have so far only recorded 30 and from those I have selected 12 that represent the range of pubs both within and outside the city wall. 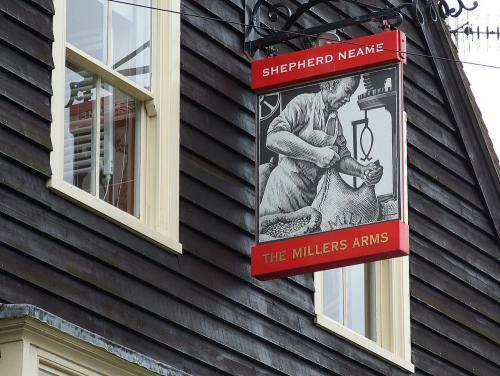 This pub was built in 1826 right opposite a newly built mill to serve the mill workers. It is just inside the old city wall to the north of the city. 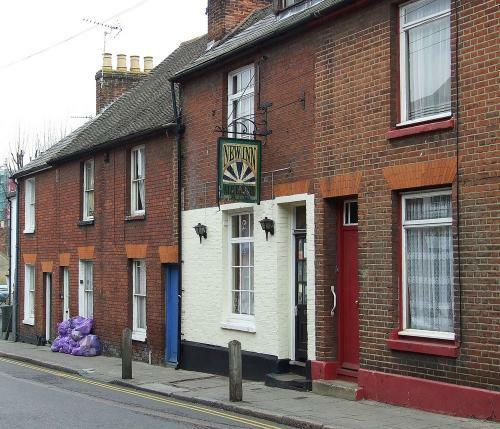 Many of the smaller pubs are in backstreets set amongst terraced houses. 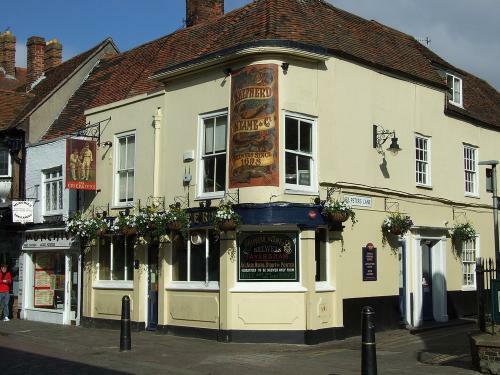 This pub is outside the city wall in what was a very poor locality but is now much smarter. This must be the smallest pub in the city although just outside the city wall. It is in a backstreet Victorian terraced house. It is noted because it has 7 changing beers meaning that there are always seven on offer but they change frequently. 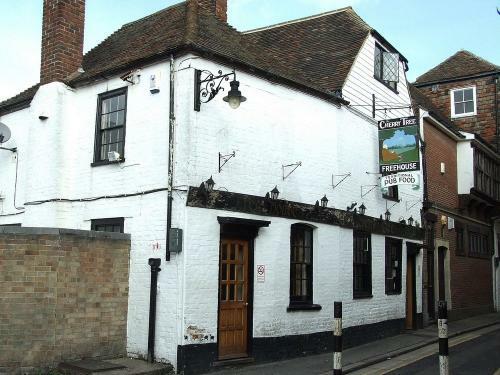 This is a one bar pub just outside the city wall set in a row of terraced houses. 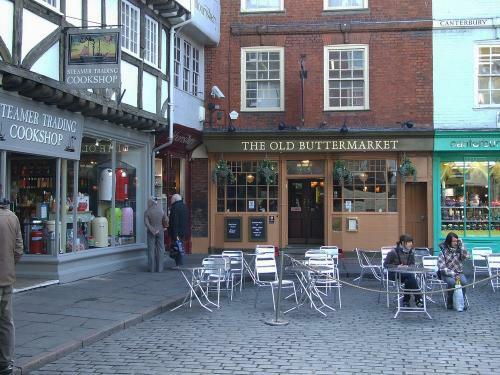 This is a larger traditional pub near the city centre, noted for its ever changing range of local beers. It boasts good views of the Cathedral beyond the boundary wall opposite. Right in the centre of the city this is a popular pub that specialises in 'Real Ales'. As a resident I get 10% discount there. 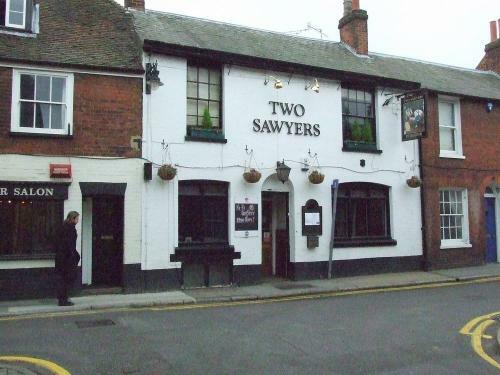 You can reserve your interval drinks in this charming pub to avoid the crush at the Marlowe theatre right opposite. And they have a bell for when the audience returns. 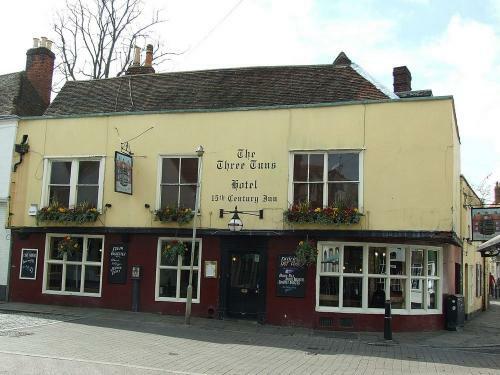 Situated on St Peters Street, part of the main high street, this is a traditional pub and so much so that I have heard it described as 'a grandads pub'. No TV, just a place to enjoy a drink and to socialise. 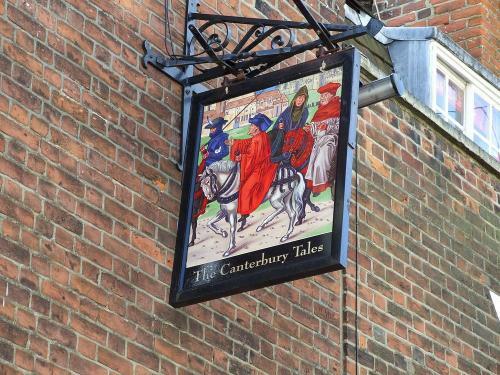 An historic pub just inside the city wall and a stones throw from the Norman Canterbury Castle. A 15th century building in an old area of the city inside the city wall. It is oak beamed with stone flagged floors beneath which are the remains of a Roman theatre. 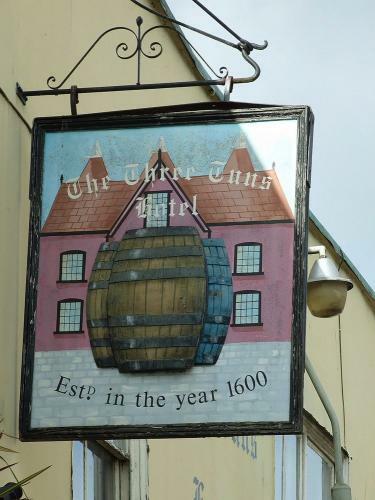 There has been an ale house on this site since 1372. In the city centre, this pub was originally known as The Fleur de Lis Tap but is now a bit over modernised in my opinion. 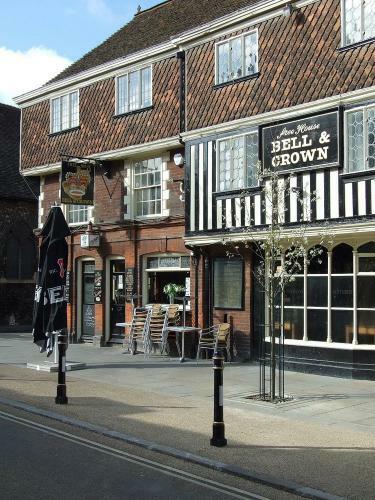 Situated right opposite the main Cathedral entrance at Christ Church Gate, this pub is well located for a drink and a bite to eat after visiting the Cathedral. 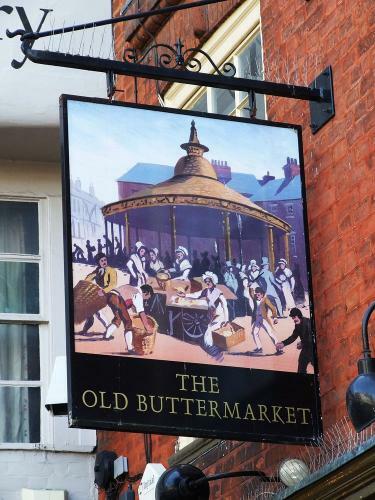 I picked this Tripadvisor review of The Old Buttermarket, by Dorkon22 from South Carolina, USA, to close my selection of Pubs and their Signs in Canterbury. 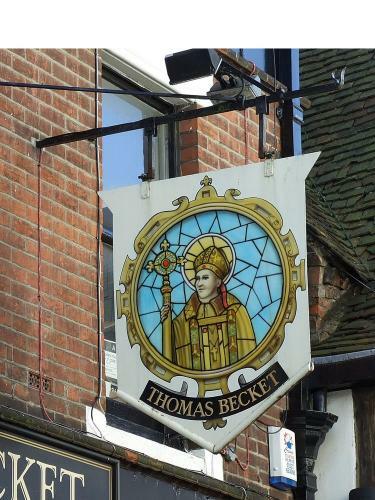 "I visited for dinner after visiting the Cathedral. 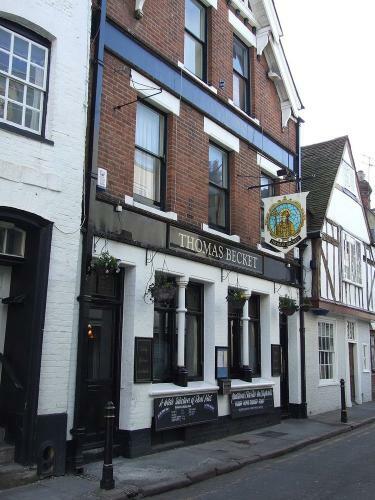 Very deceptive from the outside, when you walk back inside it opens up into your stereotypical English pub. My service was excellent. I had the steak and ale pie with a couple of beers. The menu was all one could ask if looking for Pub grub and the beer selection was way over my head. All in all I would highly recommend this as a place for a hearty meal". 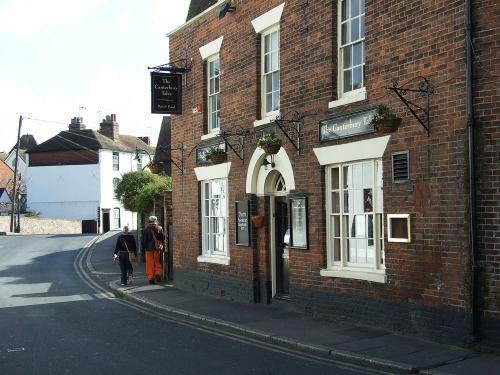 I love it, Raddang, English villages are something that I like and admire immensely..
@Henry Johnson Cheers Hank. 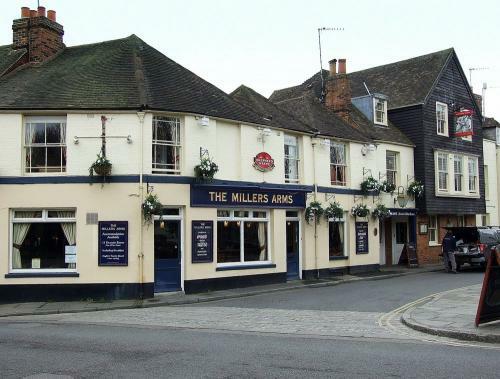 These are just some of the many pubs within the city. I agree that the country pubs in the villages are popular with our tourist visitors. Wonderful blog entry Raddang! 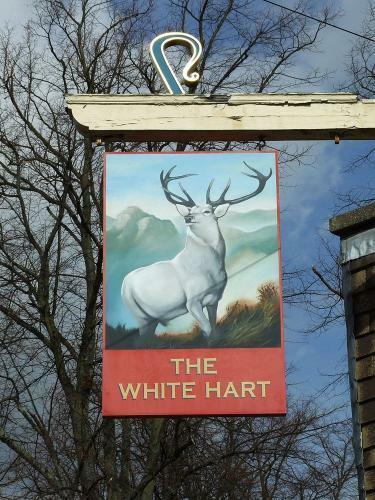 I do love the signs that English pubs have. In Ireland it's not very common. >>> As a resident I get 10% discount there. 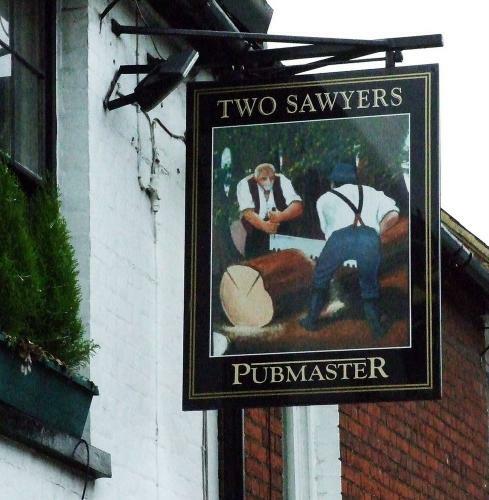 The pubs in my local village are sorely lacking in the grub game. They should really concentrate more on that.